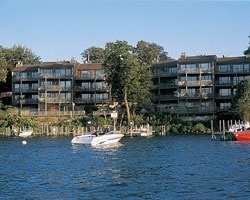 *West Oaks Resort* invites you to enjoy luxurious living on West Lake Okoboji, the deepest, most popular lake in a chain of 5 spring fed, glacial lakes that this region is known for! In the summer, there are unlimited recreational opportunities right outside your door. Guests in the off-lake units enjoy bedroom Jacuzzis, while those on the lake can step onto a patio overlooking the water. At the resort enjoy the two outdoor pools, the indoor pool, community room and more. Golfing, unique shopping and wonderful restaurants are just minutes away. In the winter, you can relax in the spacious, well appointed vacation homes. 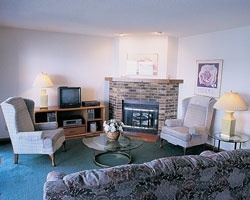 For more information about this beautiful property, visit www.westoaksresort.com. Come to Iowa during week 47 and enjoy all the natural beauty of nature! Family friendly resort!